Jahan Nama Garden, a heavenly piece of land, boasts its glory and charm to sightseers with its lush green atmosphere and spectacular scenery. 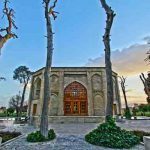 The oldest garden in the city of Shiraz covers an area of 2.8 hectares, including 3500 square meters of green open space. 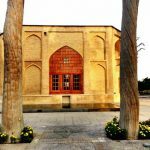 Located in the northeast of Shiraz, and up Hafeziyeh Square, Jahan Nama also features a magnificent piece of architecture. The two-storey octagonal mansion holds 4 Shahneshins [a private place for kings only] and a couple of rooms. 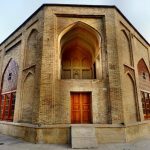 Persian structures are oftentimes built near streams of water. 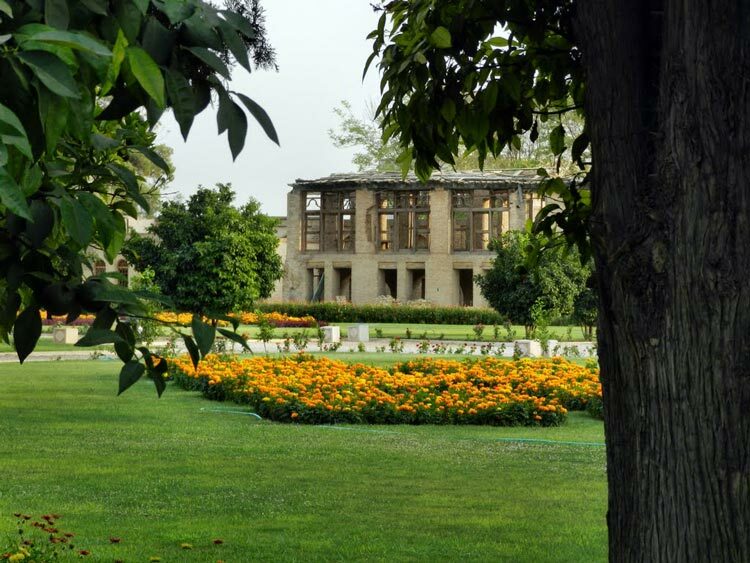 Abundant Rokn Abad flows through the impressive garden, creating a picturesque scene. 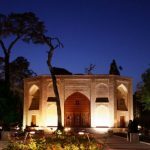 During the reigns of Al-e-Mozaffar and Al-e-Injou, the garden was so enchanting that it found a way to the poems by the legendary Persian poet, Hafez. He has mentioned the delightful garden in his awesome poetry. 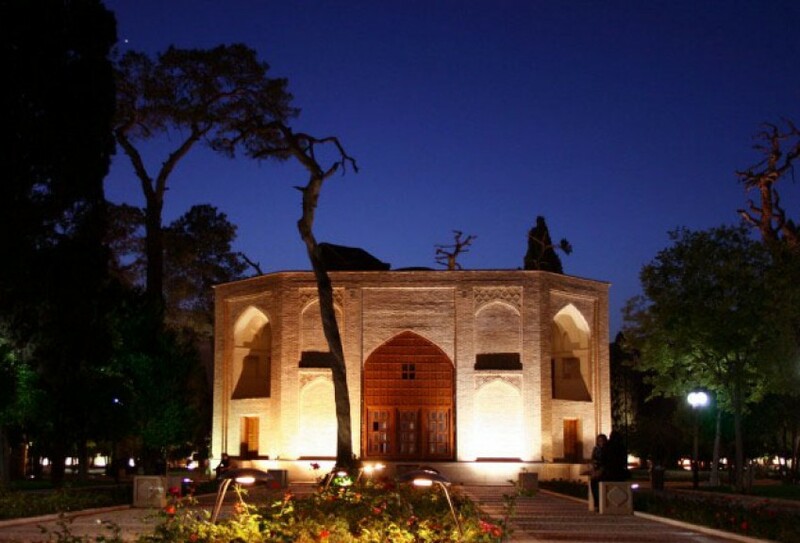 The Safavid developed the garden, according to the Shardin’s Travelogue. After the collapse of the dynasty, it was unfortunately damaged and neglected. 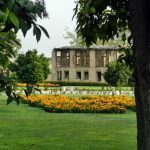 Once Karim Khan came into power, renovation started on Jahan Nama and the mansion was constructed amid the beautiful garden. Iron windows replaced old wooden windows after restoration. The building, of the Zand era, has plain tiling work with no luxurious decorations. Of note is the beautiful marble pool inside the building. 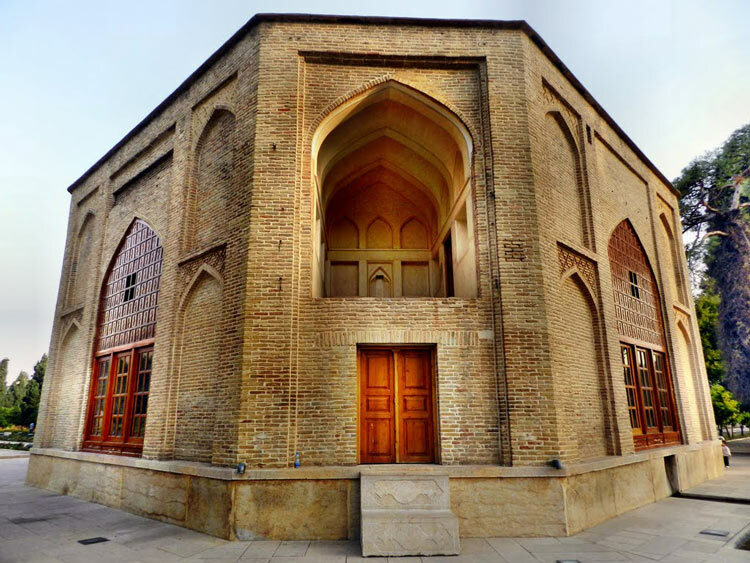 After Karim Khan, the tourism destination still preserved its grandeur and beauty. 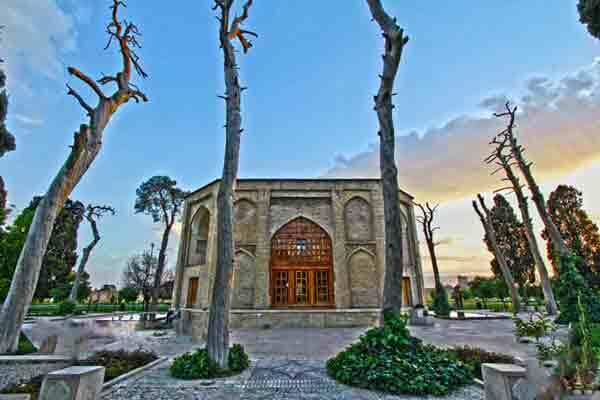 In Qajar era, the fabulous grounds served as a visiting spot for governors. Among the plants are old, broad cypresses, pine, orange trees, roses of 7 colors, violets, and petunias. 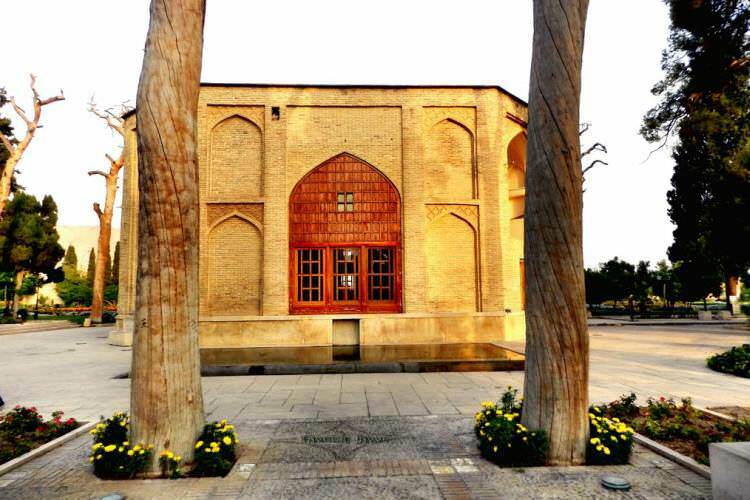 Astounding Jahan Nama makes a strong link between Iran’s magnificent nature and history. With every step you take in it, you will admire the eye-catching views of the mansion with the surrounding garden.